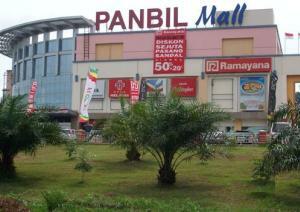 Panbil Industrial Estate is a US$ 300 million project development, comprising around 200 hectares of prime land on Batam Island. It is a state-of-the-art, completely integrated and self-contained industrial township concept specially created to enable the investor to make the very most of their investment in Batam, Indonesia. The land use at Panbil is divided into four different areas, industrial, commercial, residential and public use for infrastructure and green or open spaces to maintain a natural balance throughout the estate. At Panbil, our mission is very specific. We are fully committed to providing world-class manufacturing facilities, excellent infrastructure and fully integrated support services to the investors and well as to create a vibrant and dynamic environment where people and companies can grow and thrive together. Managed by a team of dedicated and experienced professionals, fully supported by Batam Indonesia Free Zone Authority (BIFZA)and both Indonesia’s Government and major local banks, including Bank Mandiri, regarded as the biggest bank in Indonesia, investors can expect the best possible assistance and standard. With more than US$ 180 million already allocated, it is therefore most timely for investors to enjoy even greater benefits.